Japanese telco NTT Docomo announced today that the company is ready to open the 10 billion yen (US$109-million) venture fund that it teased back in October…. Will the proposed US startup visa help the world connect with Silicon Valley? So you’re a startup, and you have a great idea. In fact, your idea is going to change the world. It’s better than Facebook…. Project Isizwe founder, HeroTel executive chairman and World of Avatar founder and former CEO Alan Knott-Craig yesterday urged entrepreneurs to live a simple life and keep their living costs flat once their income increases. African ecommerce giant Jumia today raised $196-million in its initial public offering (IPO) at the New York Stock Exchange (NYSE). 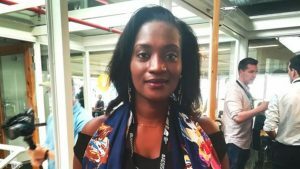 MEST Africa has announced that the 2019 MEST Africa Summit will take place between 10 and 12 June in Nairobi, Kenya. On Friday (19 April), Ethereum community members, both local and international will converge at The Lookout at the V&A Waterfront for the ETHCapeTown hackathon which will run until Sunday (21 April).